Chey showed me this picture a day or so ago. I think Jill Pennington (shown in the photo, middle row, second from the right) lent it to her. It was weird to see—it is from a completely different time of life. A good time, but very, very far removed from now. It even pre-dates Chey. I’d try to name all the people, but I’m embarrassed to say I don’t remember all the names. Some I see are Mark Hara, Brad Kik, David Mosher, Sharon Thomas, Jill Johnson (now Pennington), Julie Bevins, Aimee Brazil, Laura Julier…and many others who I remember, but whose names escape me. It has been so long. So, anyone from the MSU Writing Center who remember the names? 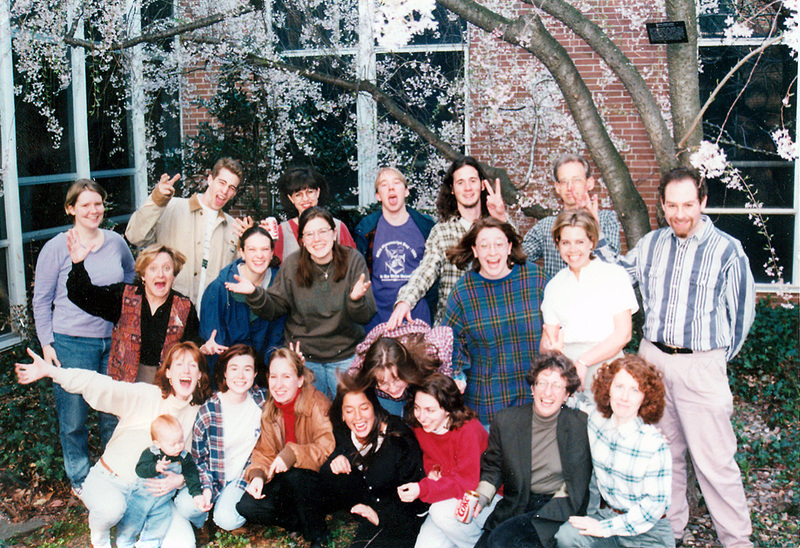 Incidentally, this photo was taken in a small enclosed garden inside of Bessey Hall on MSU’s campus. 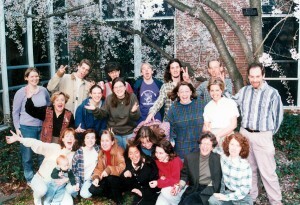 I’m guessing that it was taken in Spring of 1996. Give or take a year.